Mr. Bean was a British Comedy television series popular in the early 90's. The show was characterized by oddball, slapstick humor which sometimes involved Mr. Bean's car, a 1977 Mark IV Mini. The Mark IV Mini should not be confused with the larger "New Mini" which is currently being produced by BMW who now owns the brand. 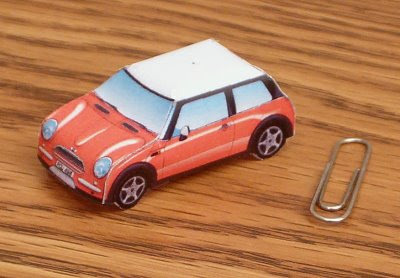 This single piece papercraft (along with nine other Mini paper models) is offered by the Vancouver Mini Club of British Columbia, Canada at their website here. 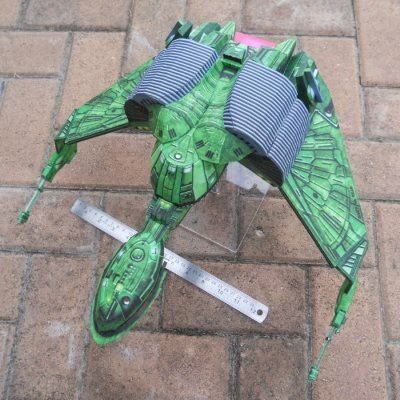 To be honest, I had some difficulties getting the model to fit together well, so if you decide make one for yourself be aware that some "nipping and tucking" of the template may be required for a good looking end result. 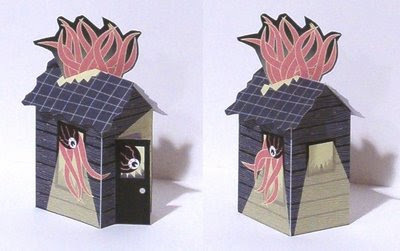 The last instruction on the template for this "House of Cthulhu" papertoy reads "Open the door a crack and stand back!" Designed by Jeffery Dixon to appear as if the mighty Cthulhu has squeezed himself into a tiny shack, building this toy was good creepy fun. The best part was it only about took ten minutes to put together. 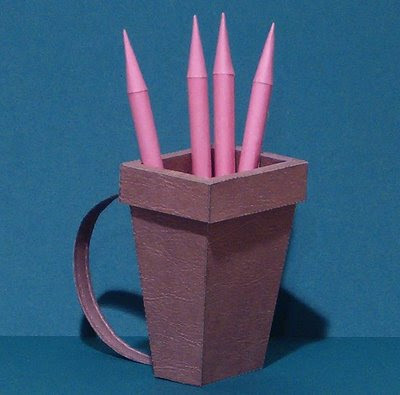 This papertoy was created in 2008 and is available for download here. 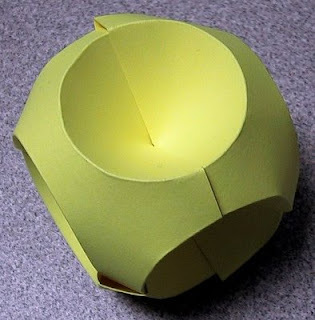 I haven't come across too many origami pieces that make use of curves, so I found this "orb unit" very interesting. This piece was constructed using four business cards that are creased with partial circles and then locked together. If you would like to attempt to make a orb unit of your own, a copy of the crease pattern template is available here. 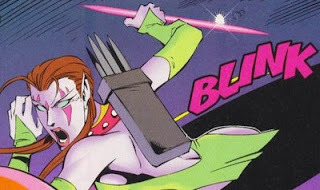 The original creator of the orb template is reported to be Jeannine Mosely. 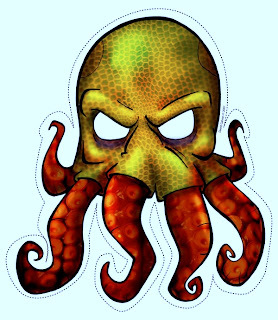 If you ever need a quick Chthulhu mask, :) this may be just the thing for you. Print, cut out, and you are ready to go. The ever popular Chthulhu is a horrific cosmic being originally created by writer H. P. Lovecraft. This particular mask was created by artist David Galvan for Halloween 2007. Looking closely, it appears that the mask was created from photographs of actual tentacles and scales. 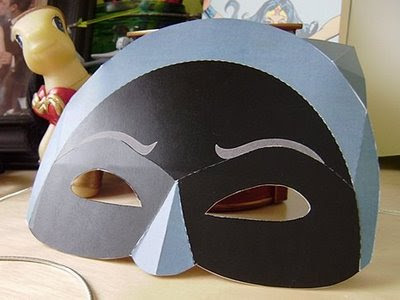 Downloads of the mask in either jpg or pdf format are available here. PS, A previous post of mine on Cthulhu papercraft can be found here. Be on the lookout for more in the future! It has become something of a tradition at our house to make papercraft decorations for birthdays. 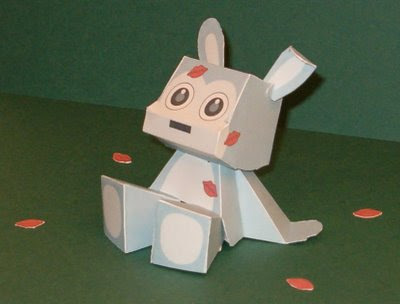 This weekend we celebrated my wife's birthday and I decorated with a Rommy bunny paper toy. The Rommy series of paper toys are the creation of Japanese paper engineer Tetsuya Watabe. His latest Rommy designs may be downloaded at his website. I chose Watabe's "Kiss, Kiss, Kiss" Rommy because it goes well with the secret pet name I have for my wife (don't tell, but it is the same as the name of a certain brand of carrots in the US). 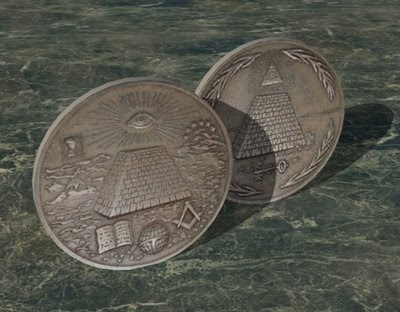 Want to know another secret? Most of the variations in the Rommy series are no longer available for download, however an archive of all the past designs may be found here. This is the last installment in the seven part series on Volkswagen Beetles. All the previous Beetle photos I posted were of my own builds, but these photos came from the designer's website. To be honest, after building six other Beetles I was starting to get a little bored. :) So even though I haven't actually built this one I thought I would pass the information along. The template for this New Beetle is two pages with 70+ parts and is available in six different colors including blue, green, orange, red, white, and yellow. Downloads from Mamecraft are available here. Here are two identically sized (but unrelated) cube papercrafts. What these cubes have in common is that they are models of boxes with magical properties. 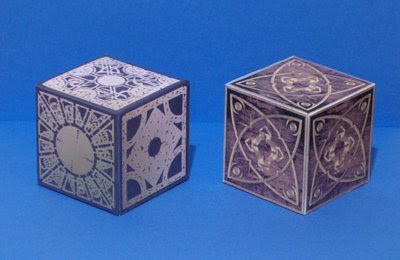 On the left is a papercraft of the "Lament Configuration" from the Hellraiser movie series. The Lament Configuration is a puzzle box that when solved opens a portal to a Hell-like dimension. On the right is a "Horadric Cube" from the Diablo II video game. When certain items are placed inside the Horadric Cube they become transmuted into different items. The original creator of the Lament Configuration papercraft is unknown, but the original template plus several modified versions may be downloaded here. The Horadric Cube papercraft was created by DeviantART member "Supaslim", USA, 2009 and may be downloaded here. When playing board games where rolling more than two dice is required, a dice tower comes in handy to keep the dice from ending up on the floor or scattering the game setup. 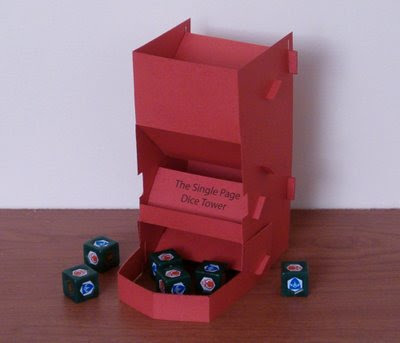 In 2008 designer Russell Howell created a dice tower that can be printed on a single sheet of cardstock and assembled without glue. I used red cardstock for mine to add some color. The tower template may be downloaded here. An optional dice catcher tray extension to allow more dice to be rolled at once may be downloaded here. The green dice shown in the photo are special edition dice from the Heroscape gaming system.